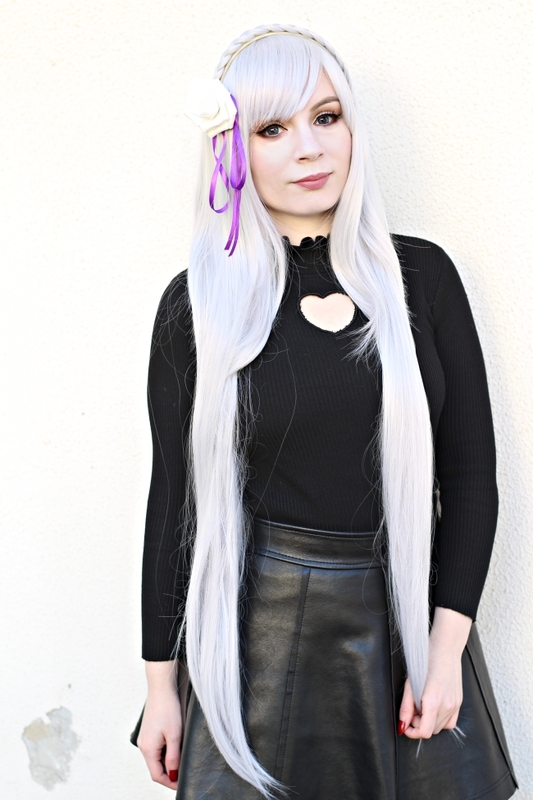 As you can see the wig is the same I got 😉 it’s super long but it’s super easy to comb at the same time which is amazing, it’s the first time I have a super long wig so soft and with the perfect amount of hair, it’s super light too :D! You ll’also receive the tiny flower headband and the braid (already done over a headband!) so you have the wig almost styled with all the accessories and only for 14$, amazing! 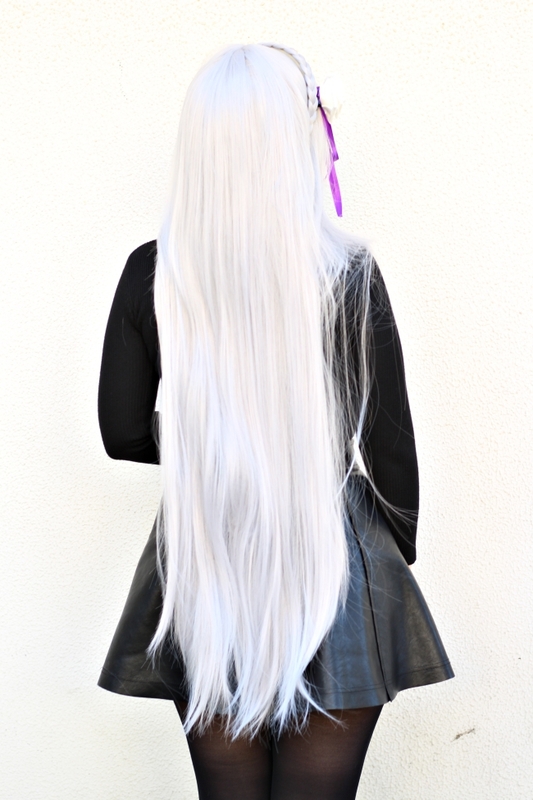 I also provided a back pic so you can see the wig in all his lenght! You can find the wig here. 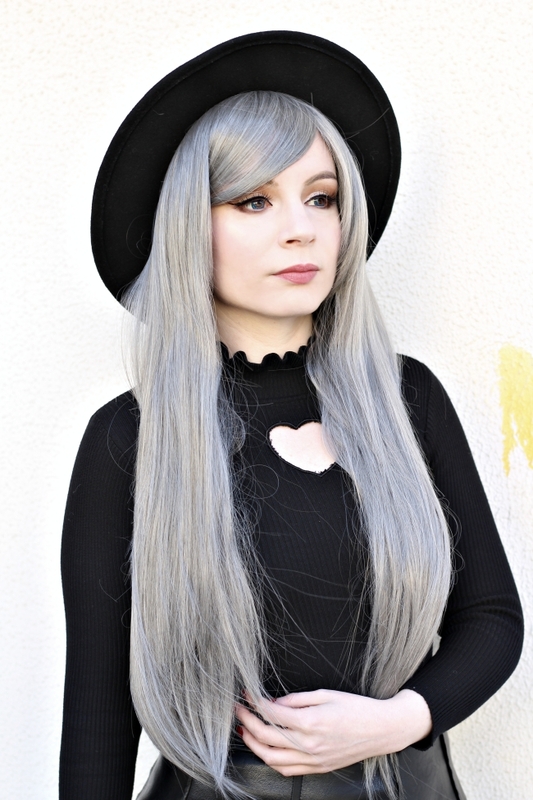 The second wig is a classic silver grey straight one, it’s apt for a lot of cosplays but also for j-fashions and gothic coords! 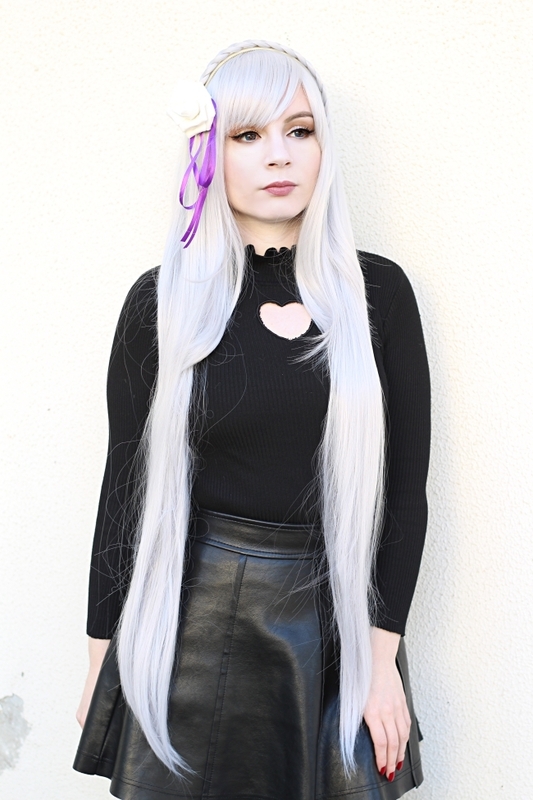 This is how the wig is in real life and as you can see it’s the same from the website :D. The wig is super soft and the lenght is perfect for daily looks, it’s super easy to comb and style, I left the fringe in its natural lenght so you can see it and decide which style is better for you! 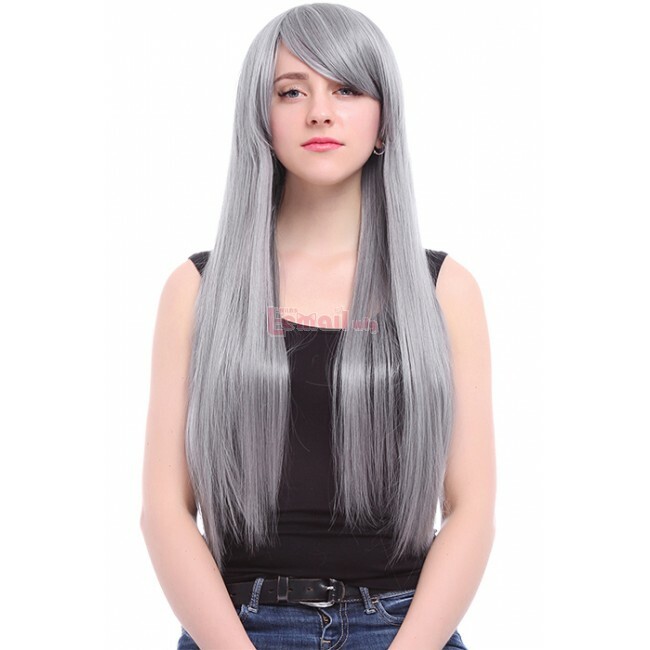 The color is super natural and the wig is super light to wear! You can find it here and the price is only 12$! I really recommend both wigs ’cause the quality is great and the prices incredibly cheap! I got the parcel in a few days with the courier so it’s a nice option if you’re looking for a wig and you are in hurry for a convention 😀 let me know if you like them or if you already have some wigs from L-Email wigs! 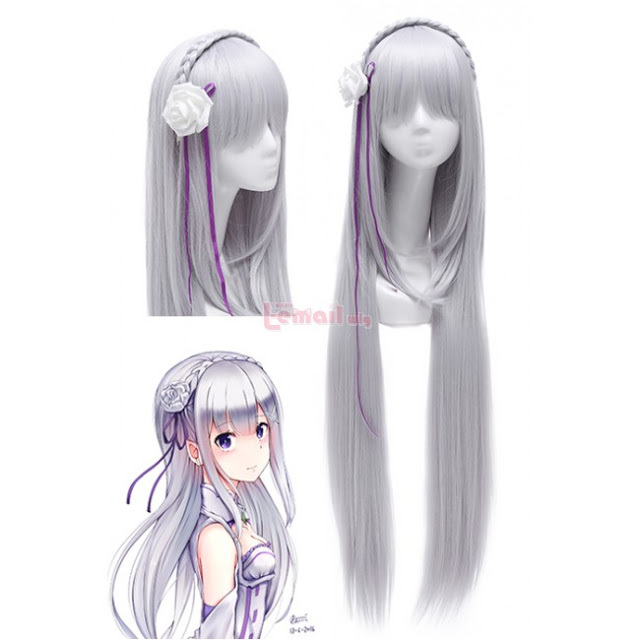 This entry was posted in Buy Cosplay Wigs, Fashion Wigs, Human Hair Wigs, L-email Wig review, Wig Maintenance and Care, Wigs and tagged anime cosplay, anime cosplay wig, anime wigs, best cosplay wigs, cheap wigs, cosplay ideas, cosplay store, cosplay wig, cosplay wigs, cosplayers, wholesale wigs, wig store, Wig-supplier, wig-supplier reviews, wigs.